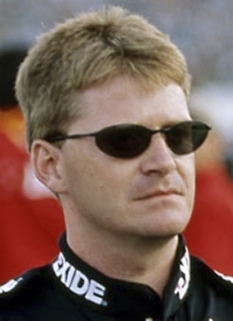 NASCAR driver, Jeff Burton, was born on June 29, 1967 in South Boston, Virginia. Jeff Burton drives the #31 AT&T Mobility Chevrolet for Richard Childress Racing. He also races part-time in the Nationwide Series driving the #29 Holiday Inn Chevrolet. Jeff Burton is the younger brother of Ward Burton, who is a fellow Sprint Cup driver. Married to Kim Burton, they have two children, Paige and Harrison. Jeff Burton began driving a handful of races in the Busch Series in 1988 in car number 69 owned by his father John Burton. He competed in the full season for Busch Series Rookie of the Year in 1989 in the Burton Autosports Pontiac #12. In 1990, he drove the #12 Armour Lower Salt Bacon Buick for the legendary Sam Ard. 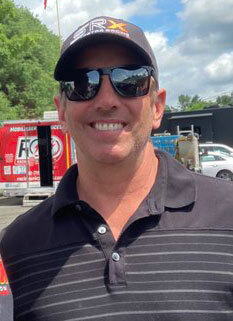 He moved to J&J Racing's #99 Armour/Food Lion Chevrolet in 1991 for one year before moving on to Filmar Racing owned by Filbert Martocci where he would drive an Oldsmobile sponsored by TIC Financial Systems in 1992, and a Ford sponsored by Baby Ruth in 1993. Burton would later make his first Winston Cup start in 1993 in car #0 owned by Martocci. He currently shares the #29 Holiday Inn Chevrolet with Scott Wimmer. 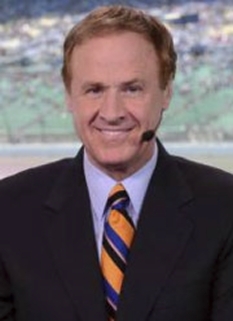 In 2007, Burton won five races (Las Vegas Motor Speedway--March, Atlanta Motor Speedway--March, California Speedway--September, Lowes Motor Speedway--October, and Homestead-Miami Speedway--November). In addition to the five victories he also won the 2007 Busch Series Owners Championship for Richard Childress. Jeff Burton came very close to winning his first Daytona 500, the 50th running of "The Great American Race." He qualified 36th and by the end of the race had worked his way up in the field. He led prior to the race's final caution, but when the green flag dropped with four laps to go, lost several positions and wound up finishing 13th. Burton won the 2008 Food City 500 at Bristol Motor Speedway. Following contact between Kevin Harvick and Tony Stewart, Burton passed both Harvick and Stewart for the 2nd position. On the ensuing restart Burton passed Denny Hamlin coming off of Turn 2 to win the Food City 500. Burton also found victory in the Bank of America 500 at Lowe's Motor Speedway by playing with pit strategy to get the car out front into clean air. Jeff Burton has 4 career Craftsman Truck Series starts, all of which came in 1996 for Roush Racing. In the #99 Exide Batteries Ford, Burton collected 1 top-5 and 3 top-10 finishes with a best finish of 4th at Nazareth Speedway. Cingular Wireless began its sponsorship of the #31 Chevrolet in the NASCAR NEXTEL Cup series prior to 2004, when NEXTEL purchased the naming rights to NASCAR's top division. Cingular and Alltel, sponsor of Ryan Newman's #12 Dodge, were allowed to stay as sponsors under a grandfather clause. In early 2007, following its purchase by AT&T, Cingular began a rebranding effort to the AT&T Mobility brand. NASCAR quickly claimed that a clause in their contract with Sprint Nextel would not allow Cingular to change either the name or brand advertised on the #31 car. After trying and failing to persuade NASCAR to approve the addition of the AT&T globe logo to the rear of the car, AT&T filed a lawsuit against NASCAR on March 16, 2007. On May 18, AT&T won a preliminary injunction and, following a failed emergency motion for a stay by NASCAR on May 19, rebranded the #31 car in time for the Nextel All-Star Challenge that evening. NASCAR was later granted an appeal to be heard on August 2. On June 17, NASCAR announced it had filed a $100 million dollar lawsuit against AT&T and would like AT&T and all other telecommunications companies out of the sport in 2008. It should be noted that the other rival company involved, Alltel, was in the process of being sold. On August 13, a ruling by a federal appeals court cleared the way for NASCAR to prevent AT&T Inc. from featuring its logo on Jeff Burton's No. 31 Richard Childress Racing Chevrolet. The court, therefore, threw out a lower court's ruling that prevented NASCAR from stopping AT&T's plans. The appeals court remanded the case to the U.S. District Court in Atlanta. At first practice for the Sharpie 500 at Bristol Motor Speedway on August 24, the #31 car had no AT&T branding, but the familiar orange and black paint scheme. Burton's pit crew wore grey Richard Childress Racing shirts and Burton wore a plain orange fire suit displaying only small associate sponsor logos. The car arrived in a black hauler with only the number 31 on the side. NASCAR officials said the car would not have made it through inspection with the AT&T logos. On September 7, 2007 NASCAR announced that an agreement had been reached between Sprint Nextel and Richard Childress Racing which would allow AT&T to sponsor the No. 31 car through the end of the 2008 season. Under the terms of the agreement Burton will have to find a new sponsor by 2009. On June 18, 2008, it was announced that RCR had secured sponsorship for the 31 of Jeff Burton. Caterpillar, which previously spent 10 years on the #22 of Bill Davis Racing and with Jeff's brother Ward driving from 1999-2003, has signed a multi-year agreement with Richard Childress Racing to become the new primary sponsor of the 31 starting in 2009. DISCLAIMER: PFP Sports Talent Agency does not claim to represent itself as the exclusive agent for Jeff Burton. PFP Sports Talent Agency is a booking agency that represents organizations seeking to hire pro athletes and sports personalities such as Jeff Burton for speaking engagements, personal appearances, product endorsements and corporate entertainment. Fees on this website are estimates and are intended only as a guideline. Exact fees are determined by a number of factors, including the location of event, the talent’s schedule, requested duties and supply and demand. PFP Sports Talent Agency makes no guarantees to the accuracy of information found on this website and does not warrant that any information or representations contained on this website will be accurate or free from errors. We are often asked how can I find out who is Jeff Burton's agent? 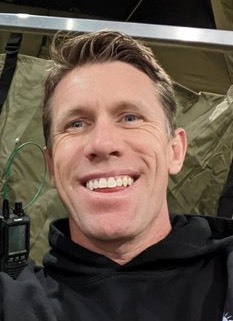 To find Jeff Burton appearance fees and booking agent details, you can contact the agent, representative or manager through PFP Sports Talent Agency for speaking fee costs and availability. PFP Sports Talent Agency can help your company choose the ideal sports personality for your next marketing campaign. To hire Jeff Burton for an appearance, speaking event or endorsement, contact Jeff Burton's booking agent for more information.